New York City is a prime example of the urban heat island effect which is defined as a metropolitan area that is significantly warmer than surrounding rural areas due to human activities. The primary cause of this effect is the accumulation of infrastructure. Dark surfaces, like asphalt, absorb significantly more solar radiation, and concrete and other building materials used in the construction of buildings and roofs commonly have significantly higher thermal bulk capacity. The heat effect is only secondarily a result from heat generation by a City’s inhabitants. 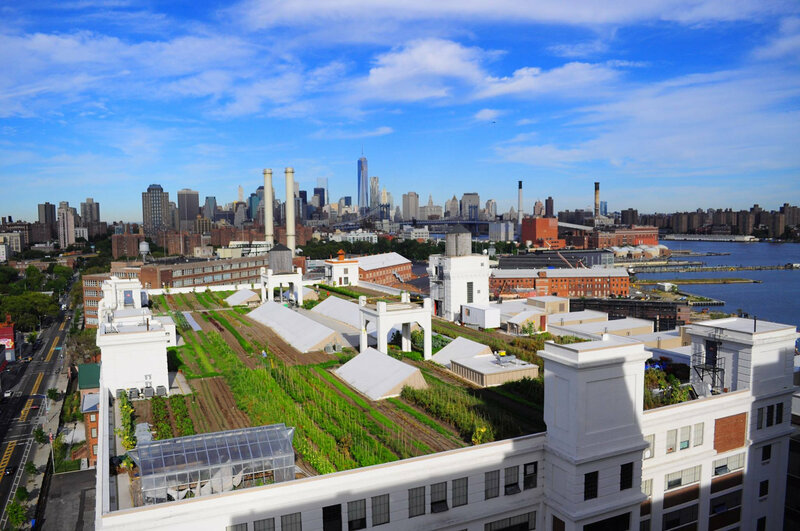 The proliferation of green roofs in New York City would offer considerable environmental benefits. Green roofs reduce storm-water runoff which is already taxing the City’s drainage system, reduce the urban heat island effect and reduce greenhouse gas emissions by lessening the need for heating or air conditioning. In addition, green roofs offer an economic benefit to building owners by reducing heating and cooling costs, extending the life of the roof, reducing noise penetration, and adding aesthetic value. At the October 28th hearing, the committee heard testimony from a representative of the Mayor’s Office and several industry professionals. John Lee, Deputy Director for Green Buildings and Energy Efficiency at the Mayor’s Office of Long Term Planning and Sustainability, applauded the City Council’s continued efforts to promote the promulgation of green roofs. Lee testified, however, to several concerns that the administration had with Intro. 0835. Specifically, Lee pointed out that ASTM E2400 provides only general guidelines to follow for the selection, installation and maintenance of plants for green roof systems. The manual does not include any specific performance standards, prescriptive requirements or benchmarks which could be enforced by the Department of Buildings. Lee further pointed out that the manual vaguely discusses seasonal plant options without specificity and covers many topics outside the scope of Building’s jurisdiction. Lee expressed the Mayor’s Office’s willingness to amend the current regulations to promote green roofs and create enforceable standards. 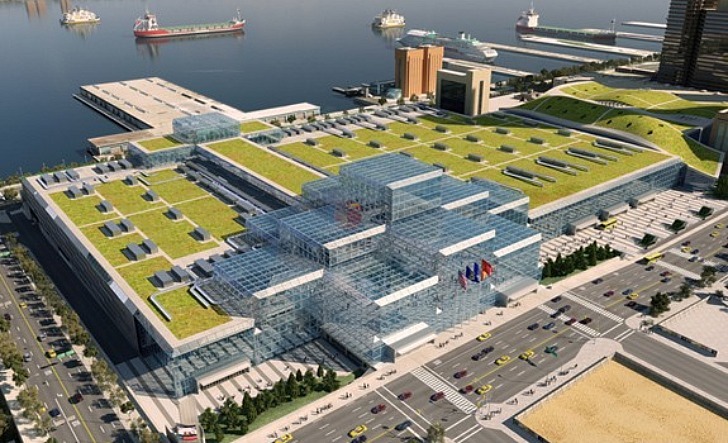 Chair Costa Constantinides, from Queens Council District 22, questioned what was preventing more green roofs from being constructed. Lee responded that site viability and costs are the major impediments. New York City is very densely built and many rooftops have too much shade making them unsuitable for green roofs. Additionally, the installation of a green roof was a costly proposition even with current tax break incentives. Jane Winkel, Director of Stewardship for Roof Meadow, testified against the introduction. Winkel noted that the referred to ASTM guide specifically stated that “this guide provides general guidance only. It is important to consult with a professional horticulturist, green roof consultant, or work with similar professionals that are knowledgeable, experienced, and acquainted with green roof technology.” Winkel added that her company has found several horticultural standards in the guide to be lacking or since proven inaccurate with recent observations and revelations. Winkel recommended that, if City Council insisted on incorporating a guide to green roofs, the legislation should incorporate ASTM E 2777, “Standard Guide for Green Roofs,” which she testified contains greater detail and better horticultural standards for green roofs. Winkel also recommended that a statement be included in the legislation to detail how the guide would be used in the context of the City’s building code as the ASTM is only a guide and subject to interpretation. CC: Committee on Environmental Protection Public Hearing on Intro. 0835-2015 (Oct. 29, 2016).